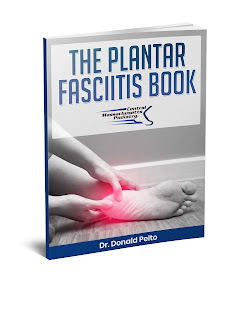 Dr. Pelto's Blog: How to treat a tear in your plantar fascia? How to treat a tear in your plantar fascia? Many people struggle with plantar fasciitis. It is one of the most common ailments that we deal with in the office. However, what happens when your plantar fascia produces a tear and you have to treat it? A tear is usually diagnosed with an MRI and the only way of treating it is rest. One way of staying off the foot is with a roll-about walker to take the pressure off the foot. This is a good idea one of my patients is using. But you may want to know how long it will take to heal. If it was a bone we could say it would take about 6-8 weeks but unfortunately with a tear of the plantar fascia it may take longer. I have a patient now who doesn't have any pain when walking but when running she has more pain. This can be very frustrating for those suffering with a tear. Here are some helpful websites to learn more about plantar fascia tear that is different than plantar fasciitis.